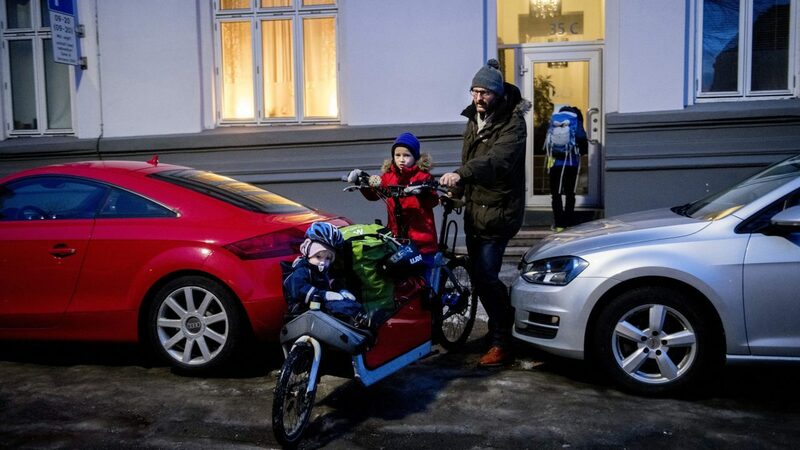 This family of six wants a car-free life in Oslo - how do they do it? 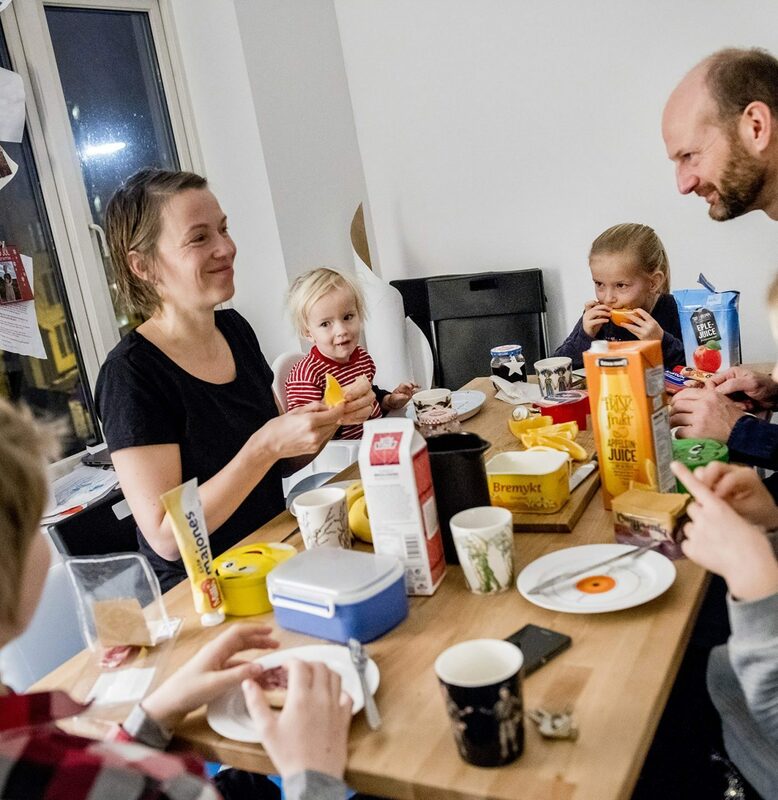 This family of four children and two adults lives right in the centre of Oslo. As for most families with young children, the week is crammed with school, kindergarten, work and leisure activities. Read how they deal with the logistical challenges – without a car! Sigrid Moldestad and Claus Christian Apneseth live right in the centre of Oslo with their children Nils (12), Ingeborg (10), Ingvild (7) and Leif (2). Claus also has another son, Rolv (19), from a previous relationship. The family alternate between living on their boat at Kongen Marina and in their apartment at Vika. Although there are a lot of them – and their everyday lives are very busy – they have made a deliberate choice to live car-free. – In the past, I sometimes owned several cars at once, but that was a long time ago. We’ve chosen to live in the centre of the city, and it’s a short walk to get to public transport. It’s good to avoid driving around the neighbourhood hunting for a parking space, says Claus. – And neither of us is particularly fond of driving a car, it’s something we do only when we have to. When we need a car, we rent one from Bilkollektivet or Rent-A-Wreck. Usually that’s for visiting relatives in western Norway during the holidays, says Sigrid. Since they are a large family, they need a large car when they are all travelling together. – It would just be tiresome to own such a large car in the inner city. For me, there’s also an environmental aspect to not owning a car – I want to live in accordance with my convictions, she says. – A car takes up a lot of space, both in the lives of its owners and in the urban environment. There simply isn’t space for everyone to own a car in the city, adds Claus. Before the Moldestad/Apneseth family leaves the house at around 8am every morning, the whole family gathers for breakfast. Ingvild (7) is also not enthusiastic about car journeys. – It’s boring. What I like best is being on Papa’s bicycle, she says. Little Leif (2), however, is an ardent car lover. – Cars are fun. They say beboobeboo, he says happily. An ordinary weekday in the lives of the Moldestad/Apneseth family starts just before 7am. That’s when the adults get up, before waking the children. All of them eat breakfast together, then everyone is out of the door sometime between 7.45 and 8.15. Nils, Ingeborg and Ingvild would ordinarily go to Ruseløkka School, which is currently closed for refurbishment. Accordingly the children have to travel to Vollebekk School in Oslo’s Bjerke District instead. The two eldest take the subway to school on their own, while Claus takes Ingvild and Leif on his electric cargo bike. He takes Ingvild to the bus stop, from where she travels by bus with the rest of her class. Then he cycles on with Leif to the kindergarten. Finally, Claus cycles to work at Lysaker, while Sigrid cycles to Carl Berner. In the winter their bikes have studded tyres. 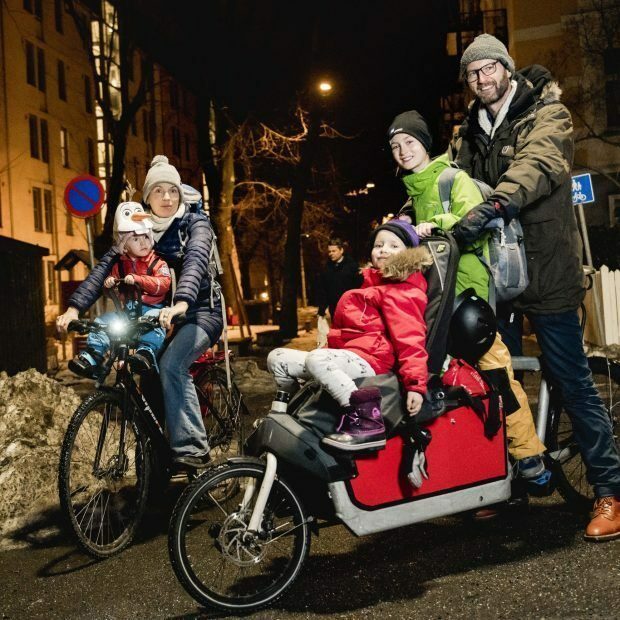 – The electric cargo bike is absolutely fantastic – with ordinary tyres I can easily cycle with two children up to Nydalen without working up a sweat, says Claus. 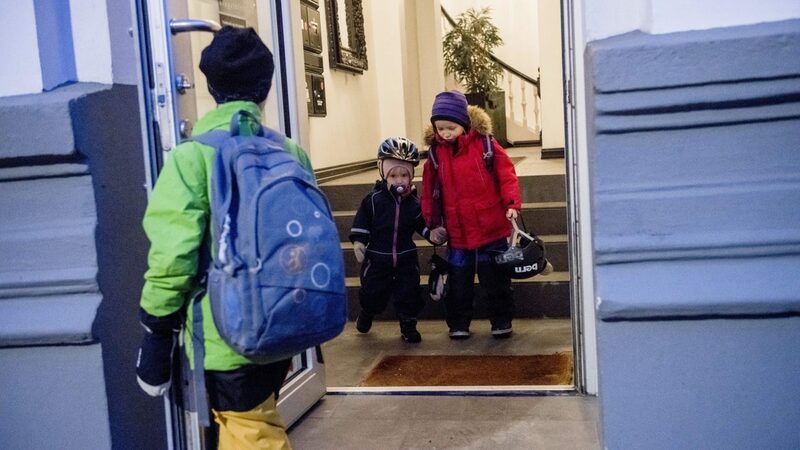 Every morning, Claus takes Ingvild to school and Leif to kindergarten on his electric cargo bike. 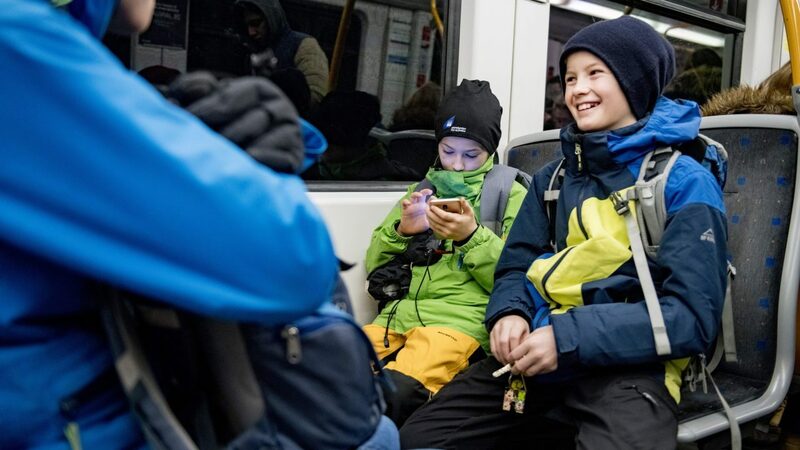 Nils (12) takes the subway to school each day. The family all leave the house together, but then they go their separate ways, by cycle, on foot or by public transport. The family’s transport logistics continue in the afternoon. Both Ingeborg and Ingvild play in the school band once a week. Then Claus’s mother lends a hand, collecting them from school once band practice is over. Ingeborg also plays football, and travels on her own to training sessions by tram and bus. Nils goes to snowboarding lessons at Tryvann one evening a week, travelling there on his own by subway. 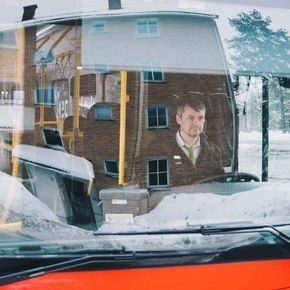 – Although we miss having an express service that would get us up to Tryvann more quickly, it’s fun taking the subway once we’re on board. Often we meet other people we know who are also on their way up to the forest, says Sigrid. The only times when Sigrid and Claus think that having a car would be convenient is in connection with home improvement projects. – Sometimes we might need to go to Alnabru to buy something, but then it’s no problem to rent a car from Bilkollektivet. We can also take a lot of taxis with the money we save by not having our own car, says Claus. -Are you allways carefree while living car-free? – It does occasionally get a little stressful on weekdays, but in general everything works well. We have two food shops just around the corner, so it’s easier in any case to walk home with shopping bags than to put them in the car, find a parking space, and then walk home from the car, says Sigrid. 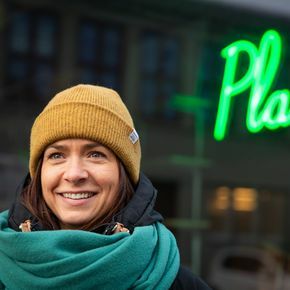 This story was first published in Norwegian in February, 2018.